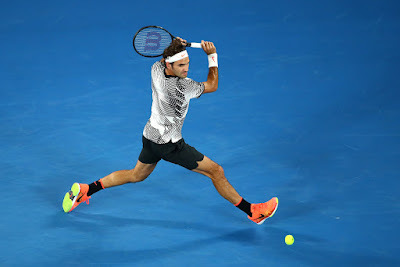 Roger Federer made a winning return to competitive tennis after six months out of the game on Monday, thrilling a packed Rod Laver Arena as he beat qualifier Jurgen Melzer 7-5, 3-6, 6-2, 6-2 to reach the Australian Open second round. The Swiss had to battle hard throughout the match against his fellow 35-year-old and only pulled clear of his dogged opponent when the Austrian tired in the final set. Even Federer could be forgiven a little rustiness after his prolonged absence due to a knee injury and he made 36 unforced errors in his two hours and six minutes on court. There were, though, plenty of reminders of the brilliant shot-making that have helped Federer to 17 grand slam titles and his 46 to 26 advantage over Melzer in the winner count told the tale of what was ultimately a comfortable win. The crowd cheered every one to the rafters and, while that pleased Federer, he was clearly just delighted to be back doing what he does best. “I definitely see things a bit different when you've been gone for a long time or when you've come back from injury," he told reporters. “It was great to be out there. I really enjoyed myself, even though it wasn't so simple. Although he hit 19 aces and increasingly relied on his serve to get out of trouble, Federer was surprised at how long it took him to feel comfortable with that part of his game. “I thought my serve was on and off in the beginning, which surprised me a little bit, because in practice it's been going pretty well,” said Federer. “I was feeling nervous once the match actually started. I was actually fine all day, warming up, in the warm-up five minutes with Jurgen. I felt fine. Then I hit four frames in a row. It was like, ‘Whew, it's not as easy as I thought it was going to be. “I struggled for a while to find that groove, that rhythm and everything. Then you remind yourself how many times has it not been easy in the first round. The secret to the improvement over the final two sets, he thought, had been relaxing a bit. “I almost felt like I had to pace myself,” he said. “I didn't want to overthink every play. That was not the idea to come here and go mental about every point. 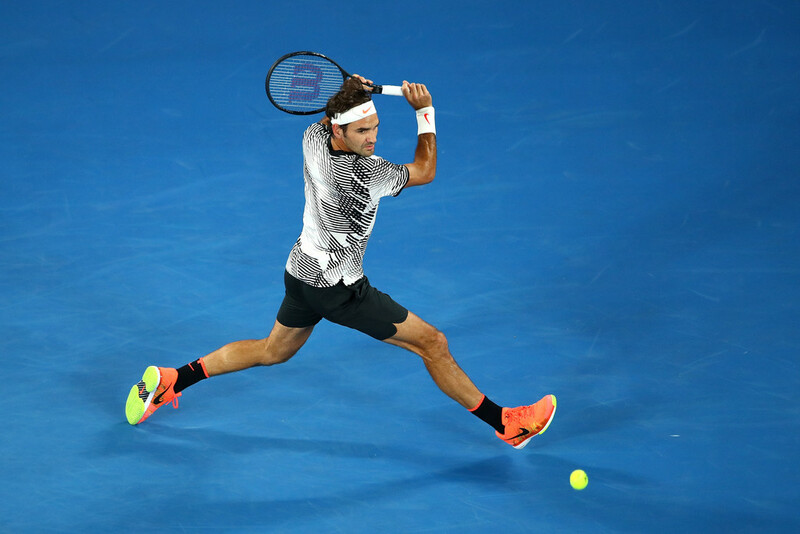 Seeded 17th, Federer has much tougher battles ahead as he continues his bid for a fifth Melbourne Park title. Next up in the second round on Wednesday, however, is another qualifier in American Noah Rubin. It is Federer’s first appearance outside the Top 10 in the ATP Rankings at Melbourne Park since 2002 when he ranked No. 12 and his No. 17 seeding is his lowest at a Grand Slam championship since coming in unseeded at 2001 Roland Garros. Pete Sampras was the No. 17 seed when he won his final event, the 2002 US Open.